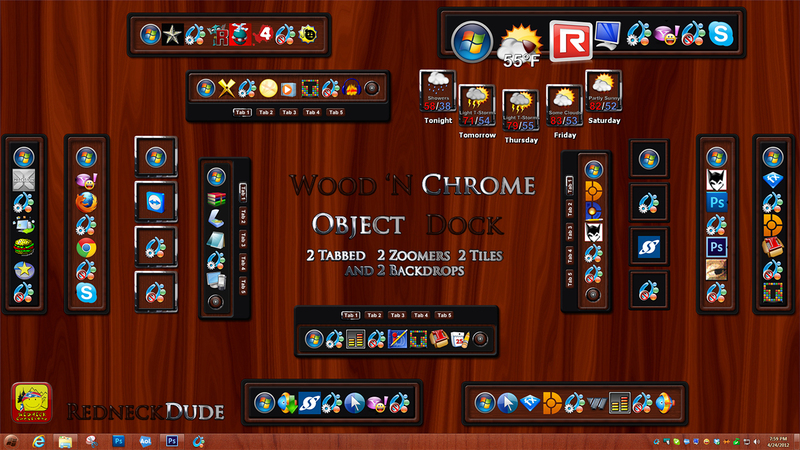 Two tabbed, two zoomers, two tiles, and two weather docklet backdrops. Just put these into the backgrounds folder in program files. Don't categorize them or the plus/minus images won't work. More Wood 'N Chrome here. We need a WB to go with all this stuff. We need a WB to go with all this stuff. A really great theme RnD. I'm trying to find someone who wants to make one.